This simple farmhouse style sign makes a big impact. 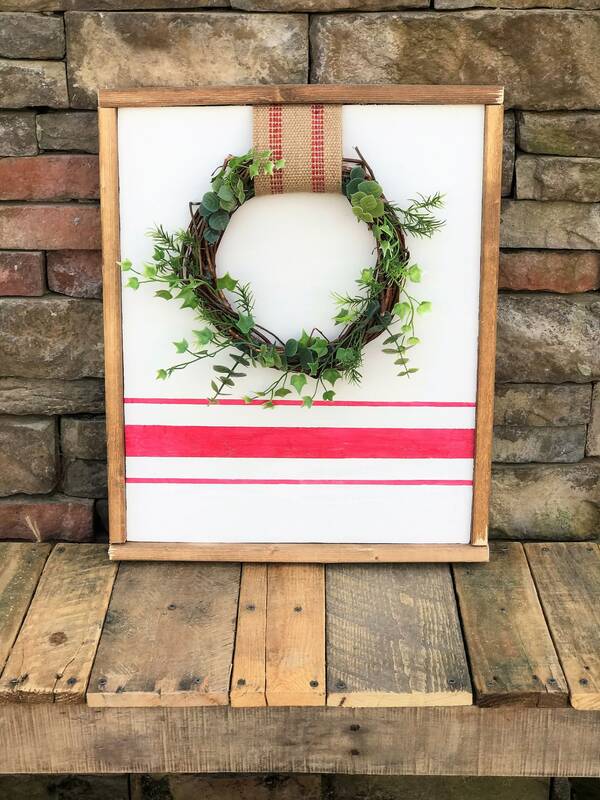 The background is painted white with a red grain sack/ ticking stripe. 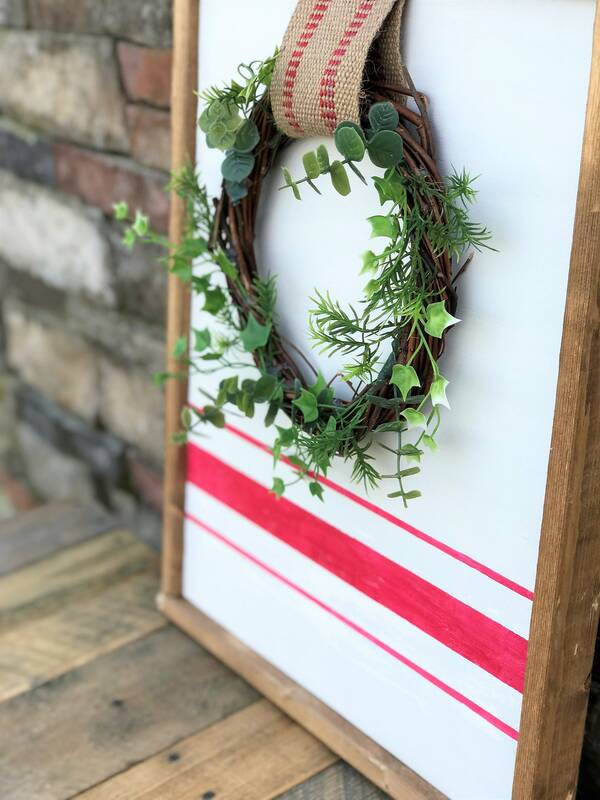 It has a wreath with greenery that hangs from neutral woven ribbon with red accents. My framed wood signs are handmade and hand painted by me (The Cranky Queen) in Waynesboro, GA. I use premium grade oak plywood. This sign is completely hand painted with no vinyl used. Each sign is framed with my signature Special Walnut stained solid pine wood. The Cranky Queen products are always handcrafted and there may be slight variations in items, meaning no two items will be exactly the same. Due to natural variations in wood, each sign may have natural imperfections which add to the rustic feel of each piece. I put a whole lot of love in every piece I make and will do my best to make sure every item looks as close to the original as possible. These signs are designed to have a rustic modern farmhouse look and feel, and slight imperfections add to this look.